Grocery is one of the basic needs of human to lead their life. Anyhow, with the changes in the lifestyle of people across the world, the ways of purchasing groceries are changes, from being self pick up by the customers to home delivery. In order to balance the changing lifestyle, online grocery delivery system has become essential. 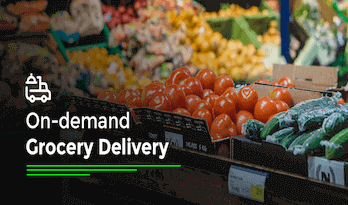 On-demand grocery delivery is becoming one of the most popular on-demand delivery business models that became popular in the last few years. We know that the on-demand grocery delivery market is getting bigger in size, nowadays, many retail grocery stores are moving into virtual store concept. Online grocery stores are the latest trend in ecommerce business. Setting up an online grocery store is very easy because of technological advancement. However, proper market research is important before starting any business. If you want to set up an online grocery store, it is vital to get the right online grocery delivery software. Shopurgrocery-grocery clone script offers all the essential features to launch a virtual grocery store. Online grocery store software made an easier shopping experience for users. Grocery shopping cart script offers a wide number of benefits to the online grocery store business, to reach the next level. It is the high time for moving the existing grocery store to online using the best grocery delivery software. If you are planning to start a platform like Bigbasket, Grofers, Instacart then multi-vendor grocery script is also readily available in the market. There are a few important things to check before building a grocery delivery system. It should make sure that the customers get the personalized user experience while they use the grocery delivery system, which insists the users choose your online grocery store among the other competitors. Get your own online grocery store software which includes all major features to run an online grocery store effortlessly. Contact us to know more about ShopurGrocery - online grocery delivery software.